This was our third renovation project with ADR Builders. Once again the ADR team completed our project professionally with highly skilled personnel, who installed a new bathroom and flooring, along with many other repairs to an outdated space. 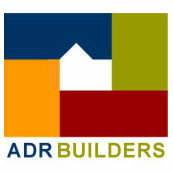 My husband & I are very pleased with ADR's work, and the completion of our project within our scheduled timeline. Our home is now comfortable and looks great!